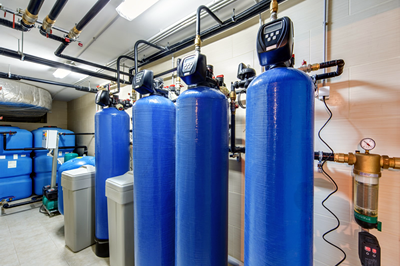 I am sure that you have heard about using a water softener and why it is good for your home. It helps make your shower water softer and much more pleasant to bathe in. You can relax in such water instead of feeling like the water is hundreds of bees constantly stinging you. You might be asking yourself about now how this has anything to do with you as a commercial entity, since you are not reading about water softeners for your home in Sanford. You are looking into your business and this is the important thing for you, as this is where you maintain your livelihood. Well, water softeners aren’t just good for homeowners. Many different industries can benefit from having water softeners installed in their offices, and the different benefits that you can enjoy or your patrons may, will make the difference between a nice experience and a great experience! Imagine going to a hotel resort that has great amenities, but a terrible shower that is not relaxing or makes you feel dirty upon leaving it. You would not go to that hotel again. A water softener can change that and make your shower the most comfortable experience possible.